The Philadelphia Eagles decided not to place a franchise tag (which would cost them $25 million) on quarterback Nick Foles, making him a free agent. Foles has served as Carson Wentz’s primary backup and even won the MVP in Super Bowl LII. 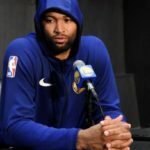 In a follow up to Tuesday’s story about DeMarcus Cousins getting a technical foul for throwing a shoe off the court, the San Jose Mercury reported the “NBA has rescinded DeMarcus Cousins’ technical from last night. 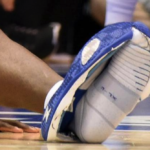 Players generally aren’t allowed to toss a shoe off the floor, but DeMarcus did it to avoid an injury to himself and others.” Cousins will avoid paying a $3000 fine. Without an injured Zion Williamson, Duke lost again and is now slipping in rankings in the college basketball AP poll. Gonzaga currently ranks #1, Virginia #2, and Duke at #3. 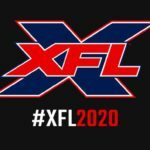 The XFL (Vince McMahon’s alternative football league) has reportedly had conversations with controversial former SF 49ers quarterback Colin Kaepernick about joining the league when it starts up again in 2020. It’s been reported Kaepernick was offered $20 million to play in the Alliance of American Football (seen as a competitor of the XFL) and turned it down. No word on what sum he was offered for the rebooted league or if he accepted. 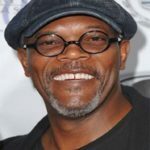 There was even a rumor (started by Kaepernick’s lawyer) that the New England Patriots and Oakland Raiders were interested in signing him. SpringHill Entertainment confirmed Space Jam 2 is happening. 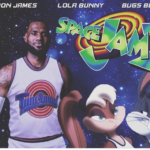 LeBron James will star in the sequel to the original Space Jam movie starring Michael Jordan and a supporting cast of Patrick Ewing, Larry Johnson, Muggsy Bogues, Shawn Bradley, Charles Barkley, Bill Murray and of course Bugs Bunny. No word yet on who will join LeBron in this much-anticipated sequel set to hit theaters on July 16th, 2021. The Houston Rockets lost 111-106 to the LA Lakers on Thursday night. James Harden kept his streak (32 consecutive games) of 30-points (or more) per game alive, but the big story of the night involved teammates James Harden and Chis Paul complaining about referee Scott Foster. Harden said he believes Foster is “rude and arrogant”. Paul added “I don’t know what else to do, know what I mean? I met with the league with him before and all this stuff. I don’t know what else to do.” Foster is a 25-year veteran of the league, but in a 2016 LA Times poll was voted by the players and coaches the league’s worst referee. NBA Commissioner Adam Silver submitted a proposal to the National Basketball Players Association to lower the draft-eligible age from 19 to 18. The NBA hopes the rule change is agreed upon and officially in place by the 2022 draft. 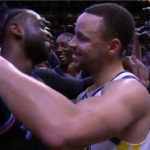 The outcome of the All-Star game has no bearing on an NBA season, but the game certainly provided some entertaining moments on Sunday. Team LeBron came out on top, as his team overcame a 20-point deficit to beat Team Giannis 178-164. Giannis Antetokounmpo had the best play of the night when he slammed the basket off of a bounce pass alley-oop from Steph Curry. The MVP of the game went to Team Lebron’s Kevin Durant for his 31 points and 7 rebounds. In the slam dunk contest on Saturday, OKC’s Hamidou Diallo took the prize after he soared over NBA icon Shaquille O’Neal for the dunk. In some big news over the weekend, former SF 49er teammates Colin Kaepernick and Eric Reid reached a resolution of their collusion case against the NFL. The agreement remains confidential so it’s unclear how much money the players received. According to reports, the new Alliance of American Football (which debuted last weekend) reached out to Colin Kaepernick about playing in the league. Kaepernick is said to have asked for $20 million or more to consider the offer. Alliance players earn $225,000 over three years (but are free in May to pursue NFL careers). AAF also reached out to former quarterback Tim Tebow, but Tebow declined as he’s at spring training with the NY Mets. 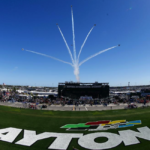 Super Bowl MVP, Julian Edelman will serve as the honorary starter for NASCAR’s biggest and most prestigious race, the Daytona 500 on Sunday, Feb 17th at 2:30 pm. Edelman will wave the green flag to begin the race. Tune in to a weekend of festivities including a dunk contest, three-point contest, and other challenges during NBA All-Star weekend in Charlotte, NC. The events all lead up to the big game featuring Team LeBron vs Team Giannis which starts at 8:00 pm on Sunday, February 17th. The Houston Rockets James Harden streak continues with his 31st consecutive game with over 30 points. In a loss to the Minnesota Timberwolves, Harden scored 42 points. He is now tied with Wilt Chamberlain for the second-longest streak in NBA history. Timberwolves 121, Rockets 111. 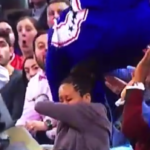 Actress Regina King was sitting in the front row at Madison Square Garden in a Knicks/76ers game, when Sixers Joel Embiid leaped over her head trying to save a loose ball. Thankfully, no one was harmed but Sixers’ coach Brett Brown said he’d prefer Embiid didn’t put himself in a possible injury situation (especially with the team ahead by 15 points). 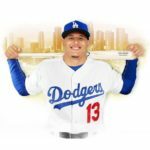 He said, “Just like I think our owners and our fans back home were thinking, You respect his aggression and his passion, but you don’t want that. I say that out of love and care. It’s stuff you hope to avoid.” Embiid responded with, “I only know one way to play and that’s to play hard and compete.” Sixers 126, Knicks 111. The Baltimore Ravens traded their longtime quarterback Joe Flacco (34 years old) to the Denver Broncos for a 4th round pick. With the move, the Ravens are putting the team in the hands of second-year QB Lamar Jackson. The move can’t be officially processed until after 4:00 pm EST on March 13th.